All of our Trout are supplied by farms in the South West of England. They are collected then vacu..
Pollan are a highly effective pike bait due to their scent and natural buoyancy in the water making ..
3-4 blast frozen salmon parr 5-6 inch excellent bait for pike and catfish.. 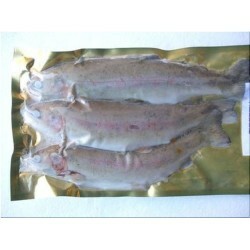 Blast frozen trout collected from the south west of uk and vaccuum packed and blast frozen within a ..